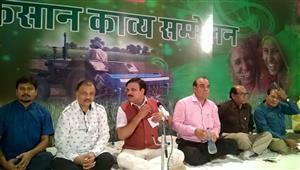 Indian Medical Association, East Delhi branch organised Hasya Kavi Sammelan to celebrate the new year bash on 2nd December inviting Ankita Singh, P K Azad and Shambhu Shikhar. New year is celebrated all over the world with great fun and enthusiasm. People love to welcome the upcoming year in their own way. 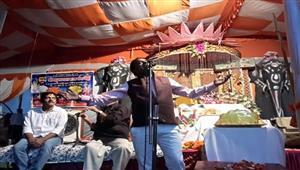 Different modes of entertainment are available there to increase the joy of New Year. 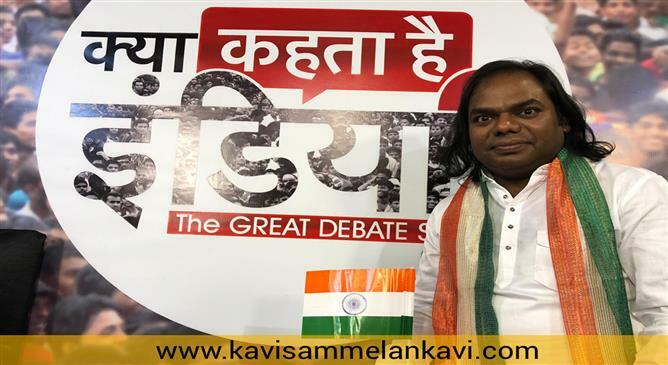 The most famous Hasya Kavi of India Shambhu Shikhar sounds excellent before the mic. His remarkable muktaks over GST, notebandi and other current topics are exciting and phenomenal. His splendid and admirable poetry is worth listening and loving. Hasya Kavi Shambhu Shikhar comes with a matchless and fine standard of hasya Kavita that hypnotizes and captivates the audience. He magnetize the listeners and grips over their heart as well as mind too. His punches and slangs are tip-top and perfect. 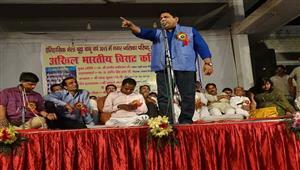 People enjoyed his poetry with full masti. 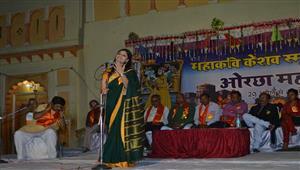 Next came the poetess of romanticism Ankita Singh, well focused on passionate love and emotion. The easy language of Ankita Singh makes her poetry accessible to the common people thereby making her a voice of every heart. The musical effect in her poetry puts her out of this world. 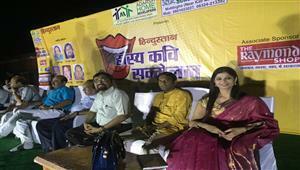 Hasya kavi PK Azad came with a collection of funny and humorous poems of wit and satire that tickles the audience from inside and brings a big smile on their faces. Exaggeration of stupidity makes his poetry wonderful and amazing. The audience was clapping and cheering very loudly for PK Azad. A big list of reputed doctors were sitting all around. Having such an intellectual audience is very prestigious itself. Booking a hasya Kavi Sammelan for corporate parties/family functions/New Year/Holi and other occasions is as easy as placing a phone call. Dial 9999428213 and book your favourite Kavi for a totally wonderful enjoyment. 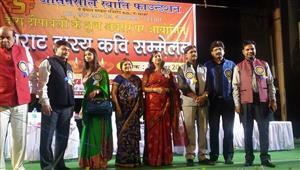 Copyright 2012-2015 © Hasya Kavi Sammelan Organizer.